FREE sparkling reindeer food to guide the way on Christmas eve with every shop order up until Christmas. An elegant sweet cone designed for the more mature taste buds. Complete with gift wrap sleeve (design may vary). £2.75 each. 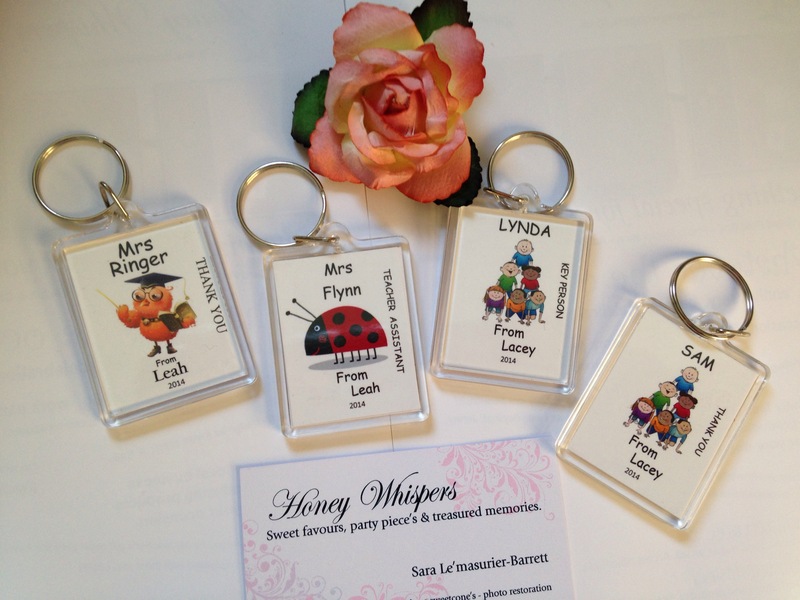 Personalised keyring's optional extra. A personalised keyring, 35mmx45mm. 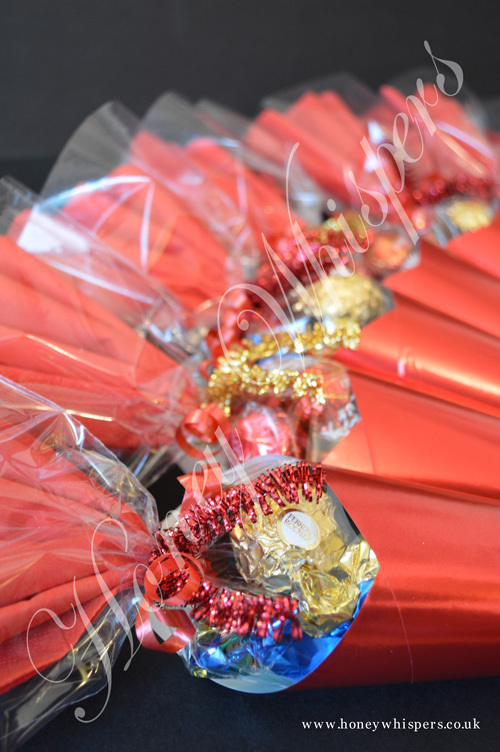 Can be purchased as an individual gift complete with organza pouch or added to any sweet cone or sweet box gift. 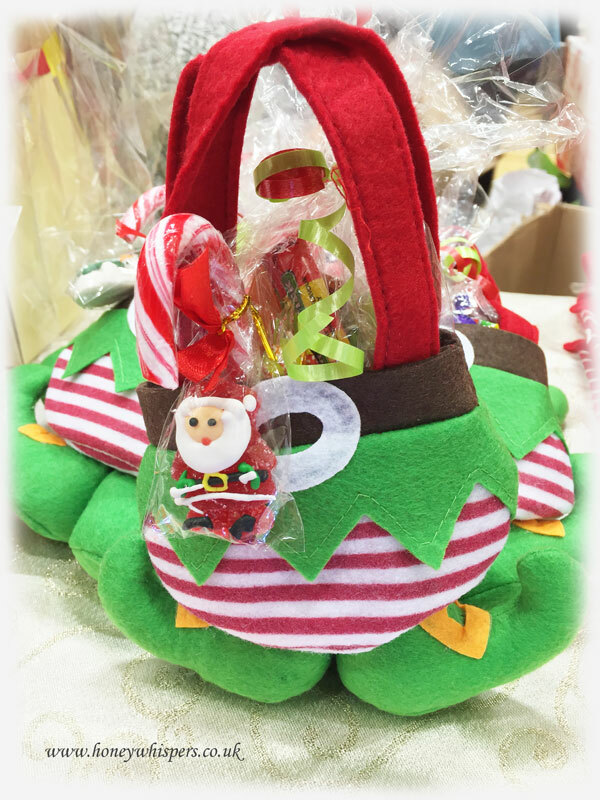 Elf Pants sweet treat bag. 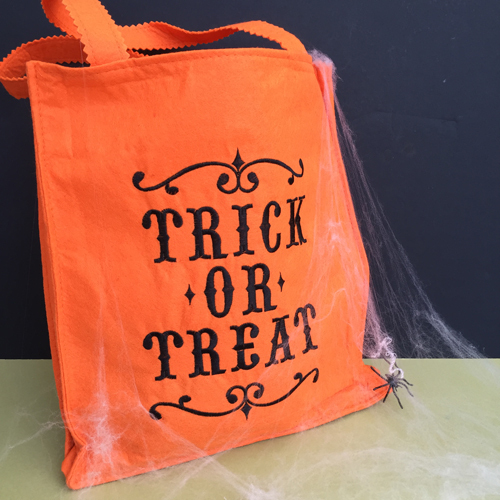 'Trick or treat' bag. 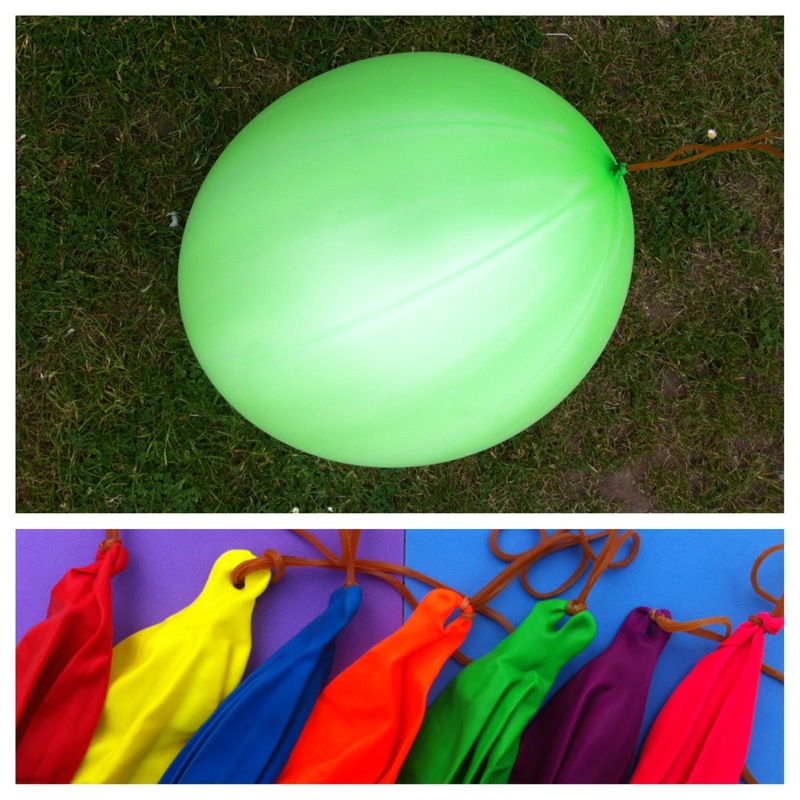 Large, light-weight, soft, felt material'. Limited availability. £3.50 each. Halloween sweet cone treats. 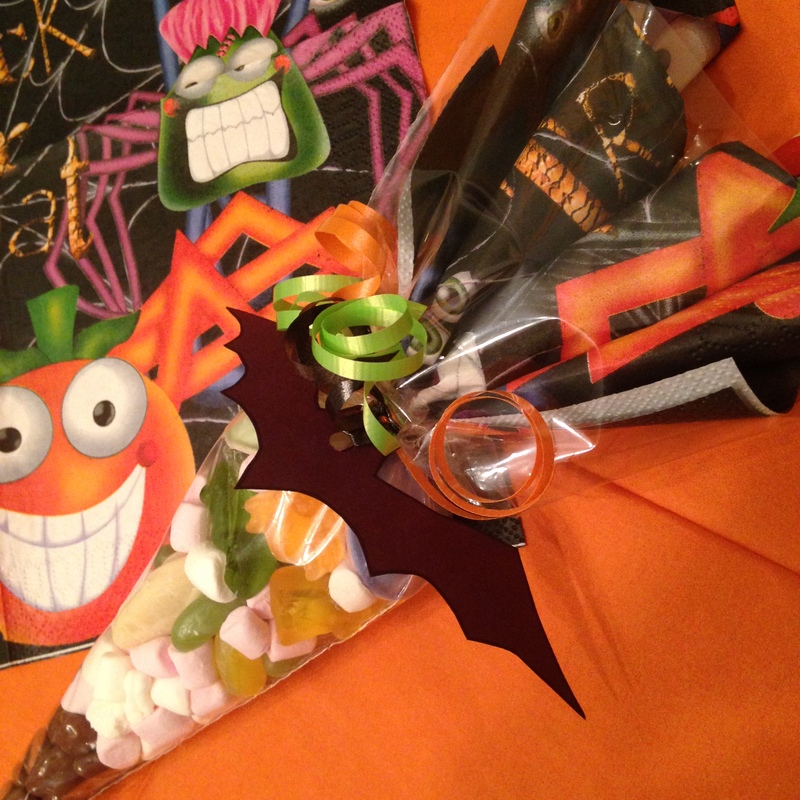 £2 each (halloween napkin design in the top may vary to the image shown). Indulgent gift for one. 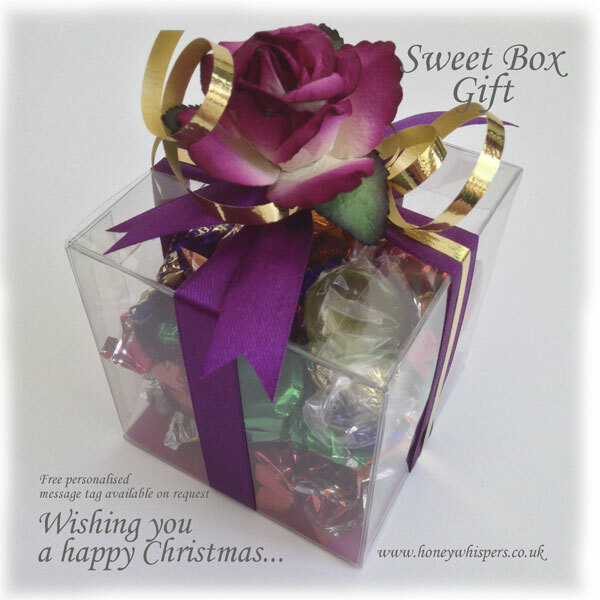 8cm transparent cube filled with individually wrapped chocolates and decorated with rose embellishment and a tag with your personal Christmas message. Make a delicious hot chocolate on a cold winter evening. 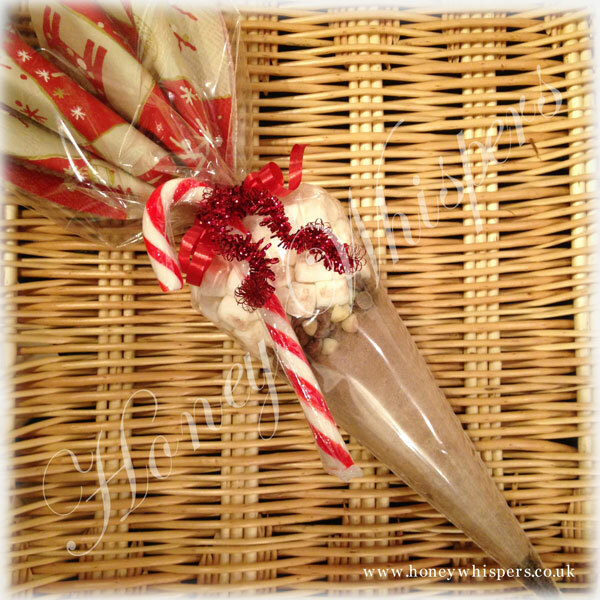 Contents include yummy chocolate chips and then sprinkle your own Christmas magic on top with the mini marshmallow's. 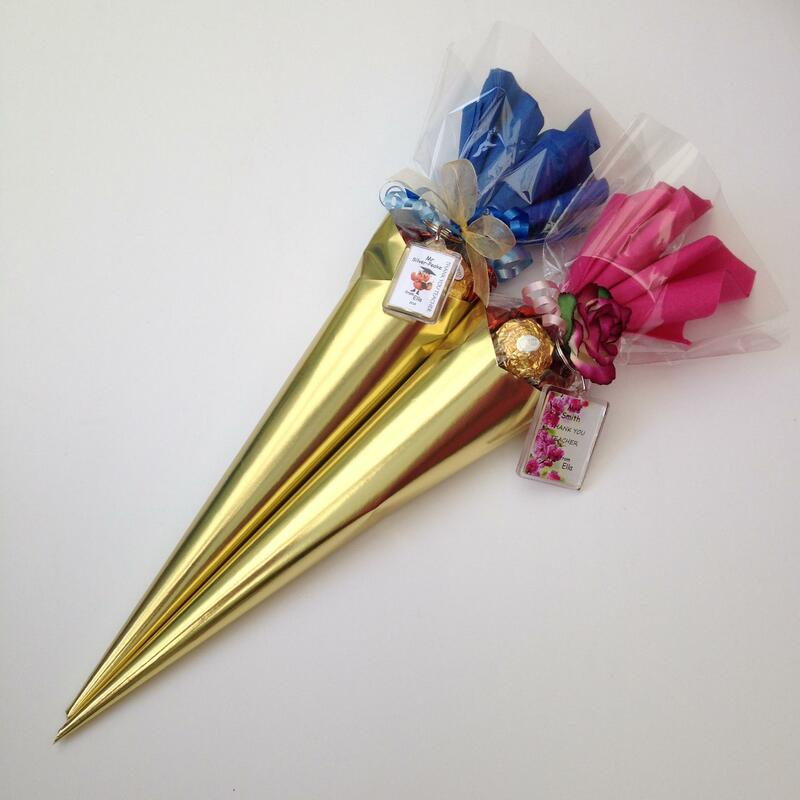 14" delicious, cone shape table treats for your guests. A gift wrap sleeve when removed reveals the bon bons, soft fruit jelly's, chocolates, jelly beans and ferrero rocher chocolate inside (or Lindt chocolate, message to change) and more. Individually priced.